It remains to be said, that the whole line or coast is fringed by perpetual surf. 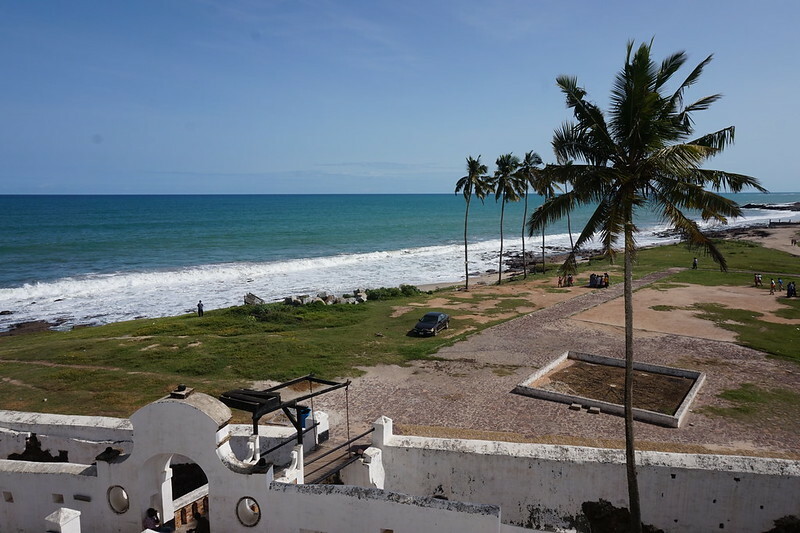 In unusually quiet weather ships' boats may land at Secondi, at El Mina, and at Accra, but at almost all the other places, and, indeed, generally there, a surf boat is necessary for communication between ship and shore. Good anchorage is to be found at a mile or two from the shore, but the never-ceasing swell causes a monotonous rolling. The range of breakers, however, extends nearly three miles to seaward from Cape Three Points, and at Achowa, at Achowa Point, and at Mumford, the broken water and foul grounds to be avoided for at least 2 1/2 miles from the shore.